? Learn by doing ? start building circuits and programming your Arduino with a few easy to follow examples - right away!
? Kitted out ? discover new and interesting hardware to make your Arduino into anything from a mobile phone to a geiger counter!
? Become an Arduino savant ? learn all about functions, arrays, libraries, shields and other tools of the trade to take your Arduino project to the next level. It's hardware, it's software, it's fun! 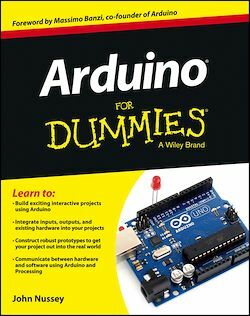 Start building the next cool gizmo with Arduino and Arduino For Dummies.